Floor lamp with a four legged base. 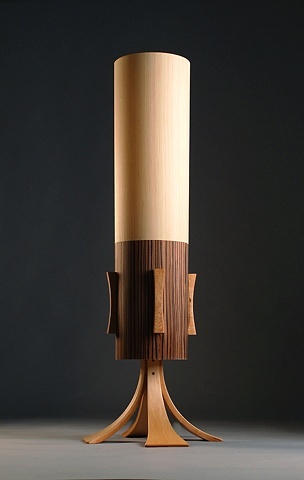 Lampshade made of laminated Maple and Ebony veneers. This piece is not for sale at this time.